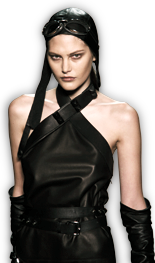 That was a clear collection Stefano Pilati presented for Yves St. Laurent. He opened with Prince of Wales-checks neatly tailored into coats, capes and suits. Jackets were mixed with pleated miniskirts and drop-waist dresses. 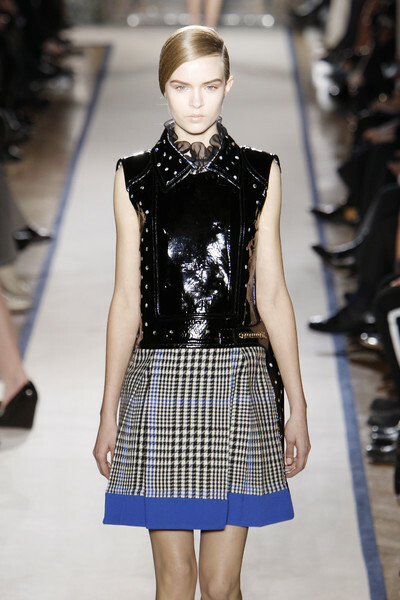 One was done in patent leather with a cocoon back and a checked skirt with a blue hem. This collection didn’t refer to Mod or schoolgirls as we’ve seen in other collections. This was for grown up women. Accessories added the right touch: chain chokers and suede laced up boots. The checks came back in the whole collection, sometimes blown up and even with degradé-effect on fur. The second part of the show was about texture: dots punched out of patent leather tunics with different densities of tweed mixed in. 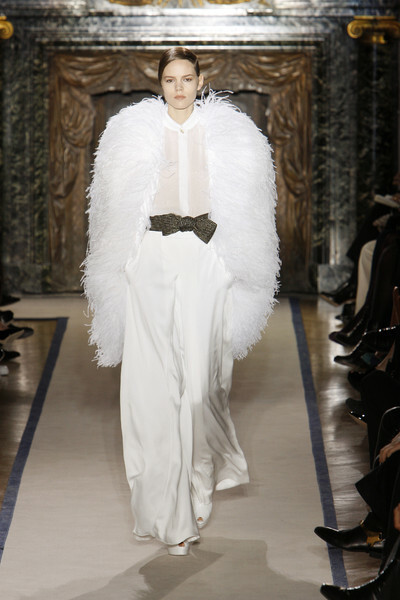 It all culminated in a run of white silk crepe evening wear: fluid jumpsuits with halter necks and trompe l’oeil bustiers, ruffle collared backless dresses belted in more gold and one huge white marabou jacket to match.